Attorney General Jeff Sessions offered to resign after tensions rose up between him and President Trump, people with knowledge of the situation told ABC News Tuesday. 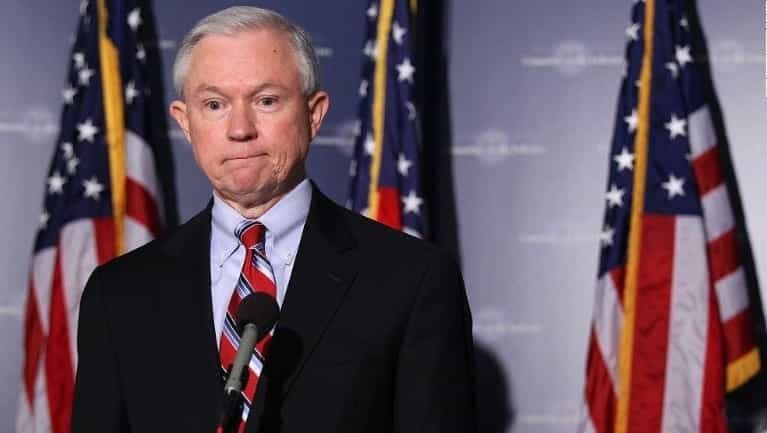 An early supporter of Trump’s, Sessions upset Trump in March when he recused himself from the investigation into Russian interference in the 2016 presidential election without giving Trump advance notice. Trump is still angry and believes the recusal is the reason why there is now a special counsel involved in the investigation, ABC News reports, but Sessions is frustrated as well by how Trump is handling things, and that’s why he offered to resign. When asked on Tuesday if Trump has confidence in Sessions, White House Press Secretary Sean Spicer refused to answer one way or another. A Department of Justice spokeswoman declined to comment to ABC News. This entry was posted on June 7th 2017 at 8:11am/08:11 and is filed under Elections, Live News Column 2, Politics. You can follow any responses to this entry through the RSS 2.0 feed.